Smartphone Minesweeper that sends its GPS location and a photo of the mine captured by the phone to your mail so you can take action! Since most Minesweeper projects are expensive and hard to implement, I thought about making a Minesweeper using my smartphone that has a magnetometer sensor built-in, also by connecting with it through the Internet so it can send me it's location and a photo of the mine via mail. 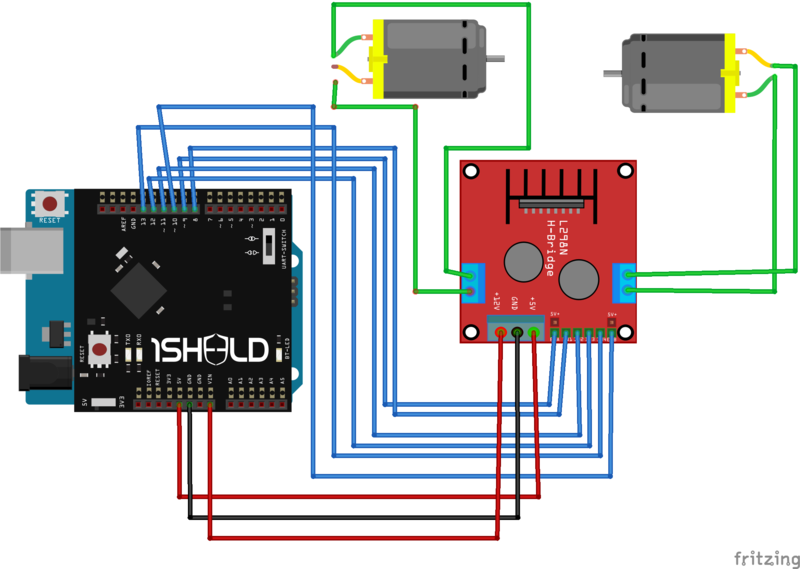 All of that could be possibly done using the 1Sheeld with the Arduino and the Smartphone. I used Smartphone's Camera, GPS, Magnetometer and WiFi. It's just a Prototype or a proof of concept, in the next versions I will add obstacle avoidance features for autonomous navigation and will make a customized Android App. So I can select an area from Google Maps and the Sweeper automatically go and check the area for mines. Also in future versions the user will be able to control the Sweeper through the internet by a webpage which would display sensor's values, position and show live streaming video and allow the user to control the sweeper from the the laptop -as a ground station- by sending commands to the phone that sends it to the Arduino that takes decisions and sends orders to the motors or actuators, so the user can take any action he wants whenever it detects a mine. Also I can build a robotic arm on it which I can control autonomously through the smartphone and the laptop so I can destroy the mine! Many features could be added, if you have a new idea to be implemented, don't hesitate to send it.